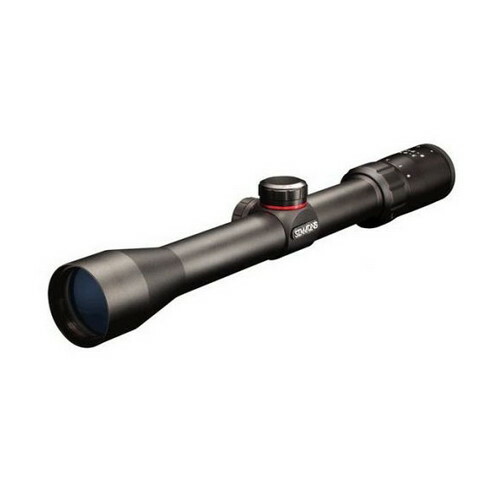 Simmons Matte 8 Point 3-9x32 Truplex 30 mm Rifle Scope 560524 puts you on a fast track to shooting like a pro. The 8 Point 3-9x32 riflescope from Simmons is dependable in the worst of weather conditions, thanks to a rugged riflescope body that is completely waterproof and fogproof. With 1/4-MOA SureGrip audible-click windage and elevation adjustment, the Simmons 3- 9x32mm Truplex Rifle Scope 56 0524 also features fully coated optics technology. Hunters trust Simmons rifle scopes thanks to years of consistent quality and dependability. For undeniable quality in both optical precision and construction durability, there is no denying that 8-Point riflescope lineup. The truplex reticle is great for quick aiming and accurate shooting in a wide range of applications.